[APRI Colloquium] 2019. 2. 13. 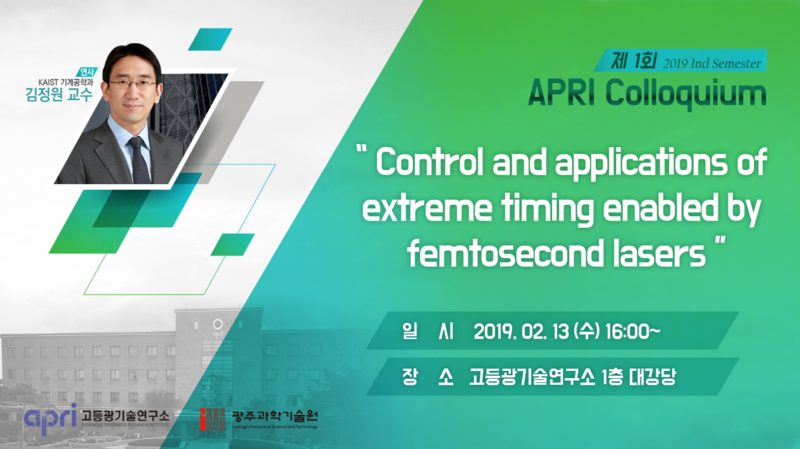 Wed 16:00~ "Control and applications of extreme timing enabled by femtosecond lasers"